The first signs of life of a business model for Twitter are finally showing. The company has hired Kevin Thau away from Buzzwire, where he served as Vice President of Sales & Business Development, to become the company’s first business development director, as the updated position in Thau’s LinkedIn profile attests. In the blog post announcing the hire, the startup says Thau is actually becoming the Director of Mobile Business Development, but later in the post actively working on their mobile business strategy is listed as an ‘also’, next to “assessing all opportunities” and “picking up ongoing threads” from the “crushing amount of partnership opportunities” Twitter receives on a daily basis. 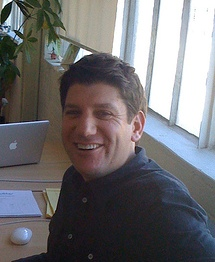 Kevin Thau has experience dealing with carriers, phone manufacturers and content providers & distributors from his previous positions, so Twitter is likely taking the logical route of attempting to monetize the service through partnerships with that type of companies as well as sponsored corporate accounts. Thau was hired late last month and has been eating his own dogfood as an active Twitter user for some time now. This isn’t the only business position Twitter was trying to fill: there’s still room for that product business manager and one that seems like the most important one if Twitter ever wants to start making money: a director of strategic partnerships.